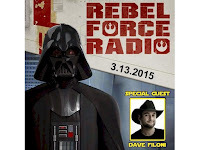 RebelForce Radio​ has released a great interview with Dave Filoni​. They talk more about Ahsoka Tano than anything else. Take a listen to this informative episode "RebelForce Radio: March 13, 2015." 36:56 - The Dave Filoni Interview begins. They talk more about Ahsoka than anything else regarding Star Wars Rebels. 46:58 - He mentions showing the Rebels team some footage of Ahsoka from season 6 and season 7. Dave mentions that there were several episodes in production, and that the ones that were released as season six, were the ones that were completed. He thinks its exciting that there are scenes out there may create a lore around these things, like the long rumored Luke building his light saber scene. 47:49 - He mentions putting out the unfinished Utapau arc online, because "fans have such a tremendous devotion to the show," and that it was a "direct response to LucasFilm seeing the love that fans have for the show." 48:20 - He says there is a lot of work that remains unfinished. He again references the arc that they had shot that was continuing Ahsoka's story that had complicated action. He mentions the scripts that they have written, and some of the history, scripts that have been written, have changes a little bit. 49:22 - He says that in the beginning of the series, there was almost a black and white rule that any new characters introduced would have to be eliminated by the end of the series, but the stories evolved along the way. 50:20 - He says that there will be things that were referred to in Rebels will make fans wonder what they are talking about. These mysteries will be from the history, that we as fans we don't know, at least at this point. 51:55 - Jimmy Mac asks if we will get more episodes of Clone Wars? He says that, if anything, it would be more the Utapau form unfinished. He tries to honor the stories and represent the work well. A big key for him is if they have the final cast recording, instead of temp tracks. 57:13 - Vader vs Ahsoka? Obviously, Dave cannot answer this question. 1:11:00 - There will be some "very exciting Clone Wars things" at Star Wars Celebration that is "all motivated by the fans staying so persistent. 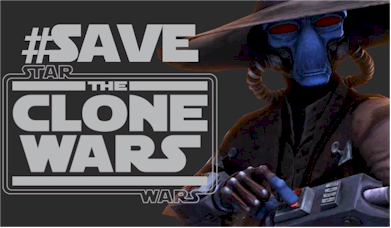 There really isn't a time that you can go anything mentions about Rebels and not have #SaveTheCloneWars people fragging it. It's really awesome! It's enjoyable. It's really endearing." He also says that he asked if he could put things together for Clone Wars fans at Celebration. 1:15:22 - The Dave Filoni Interview ends.